Can you obsess over a recipe? If so, this would be a one I am obsessing with one at the moment. Its so SIMPLE yet so delicious! 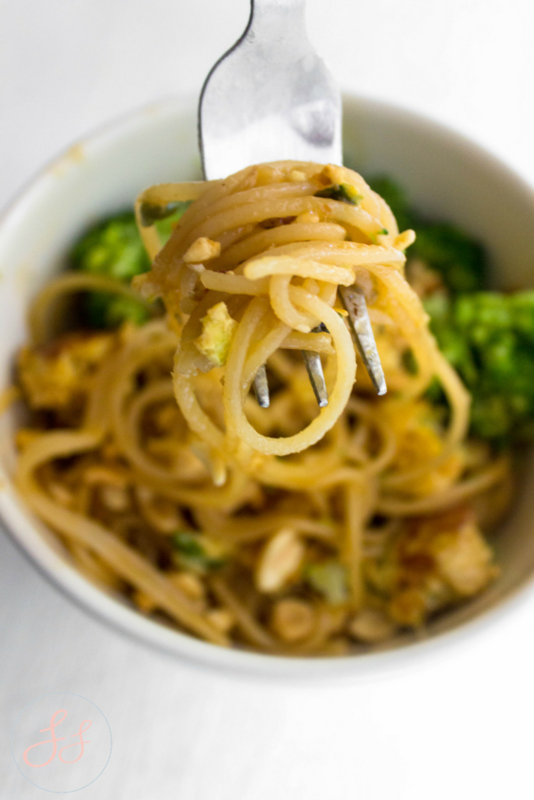 This pad thai is no P.F Changs but it is pretty amazing! You can easily add more veggies, tofu, chicken, or whatever your little heart desires! This dish is sure to be a staple in your household. Quick, easy, and can be made vegan! Cook noodles according to box/directions. Just be sure not to make too early as gluten-free noodles clump.In a small bowl, whisk together brown sugar, lime juice, soy sauce, and sriracha. Set aside. 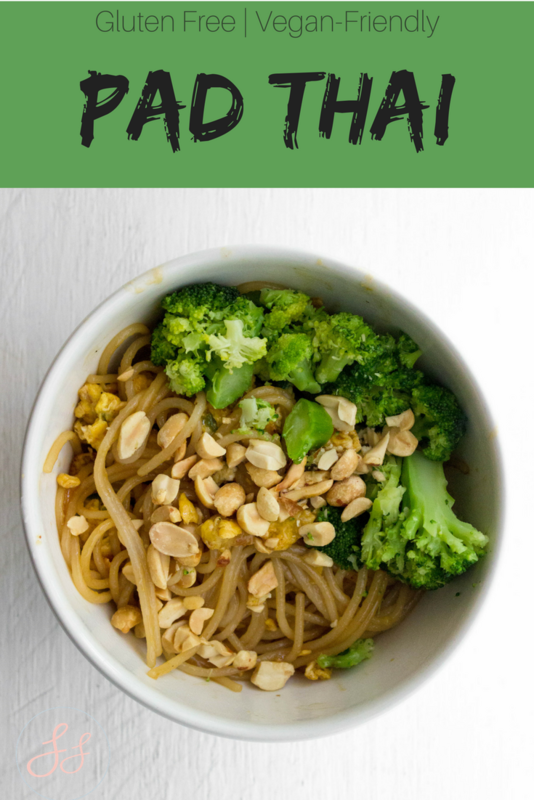 In a large nonstick skillet, heat oil over medium-high heat.Add scallion whites and garlic and cook until fragrant Add eggs and cook (if using the eggs)Add noodles, rest of green onions, and sauce to skillet and toss.Serve noodles with chopped peanuts on top (optional). *I use Tinkyada White Rice Spaghetti Noodles but you can use regular rice noodles as well. Here's a video to make it easier for you!